Doghouse was founded by accident in May 2003 when it was suggested to the founders that they edit an anthology of writers who had read at Poets' Corner, Tralee to commemorate the 10th anniversary of the readings series. To celebrate the anniversary Doghouse has compiled an anthology of new work by twenty nine poets published over the last ten years and entitled it Ten Years in the Doghouse. 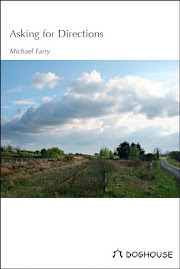 I'm delighted to have three poems included. Doghouse will hold a number of launches for the anthology. The first is on Sunday 4 August at 4.30pm at the Forge Inn & Restaurant, Fermoy, Co. Cork during the Fermoy Poetry Festival. Two days later, on Tuesday 6 August, the anthology will have its Limerick launch at the On The Nail Readings in the Locke Bar, Limerick at 8pm. The Tralee launch will be in Stoker's Lodge, Tralee on Bank Holiday Monday 28 October at 5pm. 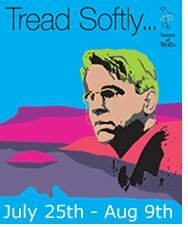 The Hawk's Well Theatre Sligo, has organised a 5th anniversary celebration of the iYeats Poetry Competition in the theatre on 3 August, at 8pm. This event, entitled ALOUD will also include the announcement of this year's winners. The celebration will include readings from Mary Branley, Gerald Dawe, Katie Donovan, James Harpur, Paula Meehan, Niall McMonagle and Enda Wyley all distinguished poets and past judges of the iYeats online international poetry competition. The readings will be complemented by invited musicians including American Kyle Alden, a San Francisco based singer/songwriter best known for his award winning folk music settings of W.B. Yeats' poetry. This is a Tread Softly Yeats Festival Season event. Tickets can be booked on the website. 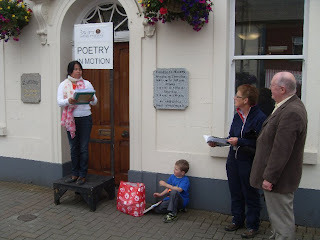 As a commended poet in the iYeats Competition in 2010 I was invited to attend but unfortunately cannot as I will be attending the Fermoy Poetry Festival at that time. I will be attending the Poets Parlour event in the Yeats Memorial Building later that week on the Friday 9 August, at 1pm. 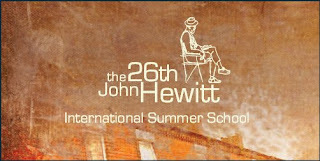 The 54th Yeats International Summer School begins tomorrow, Sunday 28 July at 2.30pm. The school will be formally opened by Mark Patrick Hederman OSB (Abbot of Glenstal Abbey) in the Hawks Well Theatre on Sunday at 2.30pm. Mark Patrick will also speak at Evensong in Drumcliffe Church at 5.00pm. All Welcome. The school lectures will take place at 9.30am and 11.15am in the Hawk's Well Theatre each weekday morning. Lectures are open to the public at a cost of ϵ10.00 per lecture or ϵ15.00 for two. George Bornstein will speak about 'September 1913' on Tuesday morning and Padraig Yeates will speak about the 1913 lockout on Friday morning. Other lecturers during the two weeks include Helen Vendler, Alexandra Poulain, Hedwig Schwall, Geraldine Higgins, Gwinn Batten, Madeline Callaghan, Alex Davis, Maureen McLane, Emilie Morin, Jahan Ramazani, Tom Walker, Warwick Gould, Deirdre Toomey and Susan Wolfson. A round table on the role of the Seanad, convened by Senator Susan O’Keeffe will take place in the Methodist Church, Wine street at 8.00pm on Tuesday 30th July. Tickets are available at the door. Poetry readings at the Methodist Church, Wine Street with Eiléan Ní Chuilleanáin reading on Wednesday 31 July at 8.00pm and Paula Meehan reading on Friday evening at 8.00pm. Tickets are available at the door. Swift Hour, Megan Sexton’s first poetry collection, will be launched on Thursday 1st August at 1.00pm in the Methodist Church, Wine Street. The week will finish with Seamus Heaney reading from his work on Sunday 4 August in the Hawks Well Theatre. In 2013 Over The Edge is continuing its exciting annual New Writer of The Year Competition. The competition is open to both poets and fiction writers worldwide who have not had a book published. The total prize money is €1,000. The best fiction entry will win €300. The best poetry entry will win €300. One of these will then be chosen as the overall winner and will receive an additional €400, giving the overall winner total prize money of €700 and the title Over The Edge New Writer of The Year 2013. Entries should be sent to Over The Edge, New Writer of the Year competition, 3 Carbry Road, Newcastle, Galway, Ireland with an accompanying SAE. Entries will be judged anonymously, so do not put your name on your poem(s) or story. Put your contact details on a separate sheet. Closing date: Wednesday 7 August. This year’s competition judge is Sarah Clancy (above). Sarah Clancy has been shortlisted for several poetry prizes including the Listowel Collection of Poetry Competition and the Patrick Kavanagh Award. 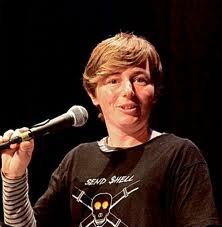 Her first book of poetry, Stacey and the Mechanical Bull, was published by Lapwing Press Belfast in December 2010 and a further selection of her work was published in June 2011 by Doire Press. For further details e-mail over-the-edge-openreadings@hotmail.com or see the website. I hope to attend the Dublin launch to read my poem about 1916. This was written in response to a LitLab exercise. "Write" might be the wrong word as this is what is called a "found poem", the text is not mine but the arrangement is. If you can't attend one of the launches you can purchase online on the website. 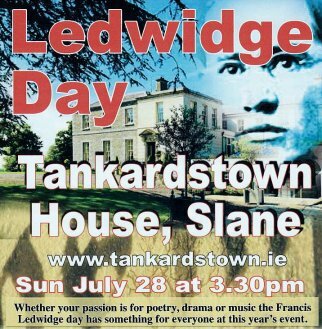 The annual Ledwidge Day event takes place this year on Sunday 28 July in Tankardstown House, Slane at 3.30pm. This afternoon of music, poetry and song will include the Dublin Shakespeare Society in a drama, Letters of Love and Loss. This will be followed by a reading by poet John F. Deane from his recently published collection Snow Falling on Chestnut Hill. 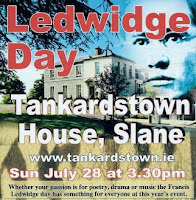 More information on the Francis Ledwidge Museum website. Free parking. Come early to avoid disappointment. The RSPB is working in partnership with leading independent UK poetry magazine, The Rialto, which will showcase the winning entries. As well as offering poets the chance to win considerable cash prizes and publication of their poems, the competition will raise money for conservation and poetry. Prizes: 1st £1000: 2nd £500: 3rd A Place on a Creative Writing Course at Ty Newydd in 2014 (worth £540). Additional prize, a personal tour with Mark Cocker of his most cherished wild life places in East Anglia. Mark is one of Britain’s most celebrated writers on nature. The judge is celebrated poet, writer and broadcaster, Ruth Padel. Ruth is a Fellow of the Royal Society for Literature and a Council Member for the Zoological Society of London. Her latest collection, The Mara Crossing, shortlisted for the Ted Hughes Prize, explores human and animal migration in poetry and prose. She writes and presents BBC Radio 4 ‘Poetry Workshop’. Ruth will read all the poems entered in the competition. The entry fee is £6 for the first poem and £3 for each subsequent entry. Full details and the facility to enter online can be found on The Rialto website. Closing date for entries is 30 September 2013. So what is Nature Poetry? As the flier says, the judge will give this a wide interpretation. I’d imagine it won’t have to be just poems about creatures and beings that share the planet, or about ‘environmental concerns’. We are all air and water, everything we eat comes from the earth or the sea, most people know the roughness of a leaf or the heft of a stone can change a mood or express a feeling. I asked a 16 year old, What is nature? and she said, insects and grass: I asked a 32 year old the same question and she said, the sun and the moon and the stars and flowers and fruit and babies. You might just have to write your poems and take a risk. LitLab, organisers of the Bailieborough Poetry Festival 4-5 October 2013, have announced the Cara Quilt a Poem Competition. Full details are on the website. The competition is sponsored by Cara Pharmacy and Beauty. Poems must be about, or inspired by, any of the quilts exhibited on the competition page. Closing date for entry is Friday 13th September. First prize of €250. All shortlisted poems will be featured at a reading at Bailieborough Poetry Festival on Saturday 5th October 2013, and authors will be invited to attend. 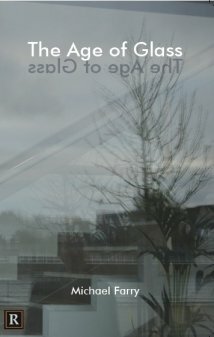 If the author is unable to attend the short-listed poem will be read by a LitLab member. The winner will be announced at that reading and will be published on the website. Each poem must not exceed 50 lines, and should be typed, single-spaced. Up to three poems may be submitted per entry. A fee of €5 per entry (3 poems) is payable. Payment can be made via PayPal on the website. Submissions should be emailed to quiltcomp@bailieboroughpoetry.com. Postal entries will also be accepted. I have been asked to judge this competition and look forward to the responses to the wonderful quilts on show on the webpage. These quilts will also be on exhibition in Bailieborough Library during the Bailieborough Poetry Festival. My "other" writers group is LitLab which began in 2006 as an initiative by Meath and Cavan Arts Offices to provide mentoring for new and emerging writers in the two counties. The initial workshops were held in Kells Library under the guidance of John McAllister, author, from Armagh. The group continues to meet fortnightly, in the Library in Bailieborough, County Cavan. 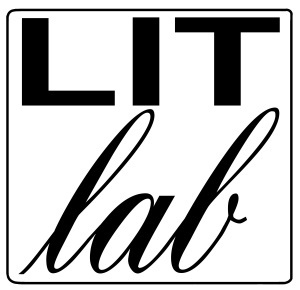 LitLab is publishing an anthology of the members' work in October. The anthology is being edited by well-known poet and performer, a fellow-Doghouse poet, Barbara Smith. In connection with the launch of the anthology the group is organizing a weekend of readings, workshops and a poetry competition in Bailieborough on the weekend of 4th and 5th October this year - a Poetry Festival. Visiting poets will include; Nessa O’Mahony, Barbara Smith, Heather Brett, Rebecca O Connor and Noel Monahan. The venues will include the town library in the old Market Square, Bia restaurant and the Wesleyan Church. 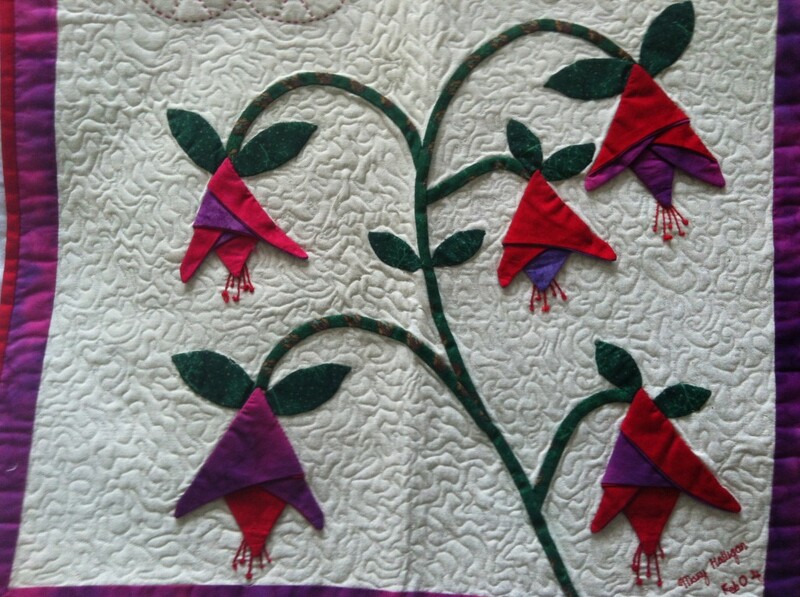 In conjunction with the poetry festival there will be a quilt exhibition hanging in the arts space of the library and the poetry competition, sponsored by Cara Pharmacy and Beauty, is based on responses in poetry to these quilts. The festival website has just been put online. It has details of the competition. A full programme for the festival will follow soon. A week of poetry (and much, much more) in Armagh: Monday 22 July to Friday 26 July 2013.
plus lectures, talks, drama, music, visual arts, discussions, exhibitions & a creative-writers' reading event. Other guests include Shirley Williams, Salley Vickers, Pat McCabe, Diljit Rana, Anne Enright, Suleiman Abdulahi, Carlo Gebler, Andy Pollak, Heather Richardson, Nessa O'Mahony, Deirdre Madden, Jan Jedrzejewski: plus Ian Sansom and Wireless Mystery Theatre in The Play of the Book, and the Lurig Players' prizewinning production of David Mamet's Duck Variations. 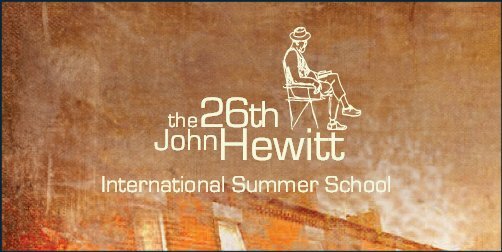 All part of the five-day festival of culture and creativity that is the 26th John Hewitt International Summer School, with this year's lectures and discussions themed around Living Among Strangers: the lost meaning of home. Full programme online. The centenary of Mary Lavin’s birth occurred last year and there were a series of events organised in Meath where the writer lived for many years. Now Irish Academic Press has published a collection of essays honouring her, one of the leading figures of the Irish short story tradition. 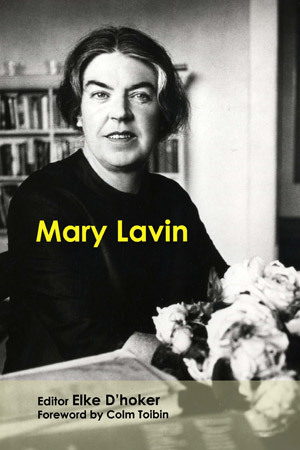 Throughout her lifetime, Mary Lavin’s writings were recognised and celebrated both at home and abroad. Her first collection of stories, Tales from Bective Bridge, won the James Tait Black Memorial Prize in 1943 and she won two Guggenheim awards in 1959 and 1961. 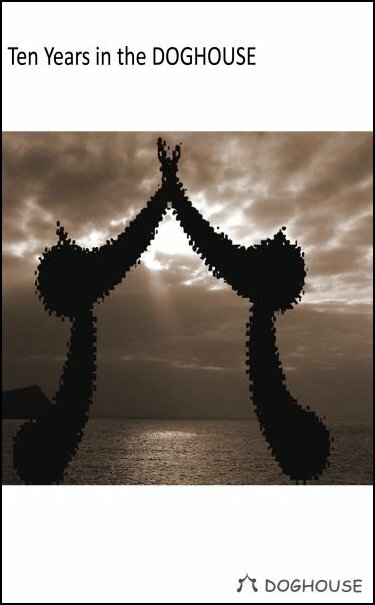 In this book leading critics examine the main themes and stylistic features of Lavin’s novels and short stories from a variety of perspectives. Heather Ingman explores the themes of masculinity and gender in Lavin’s writing;; family and community are the main themes analysed by Elke D’hoker. Aspects of her own turbulent life are examined as her critics aim to understand her multiple meanings, contexts and concerns. This book is a poignant and significant study of the life, work and writings of one of Ireland’s most prolific female writers of the twentieth century, Mary Lavin. The editor is Elke D’hoker, Associate Professor at the University of Leuven, Belgium, and the foreword is written by Colm Tobin. 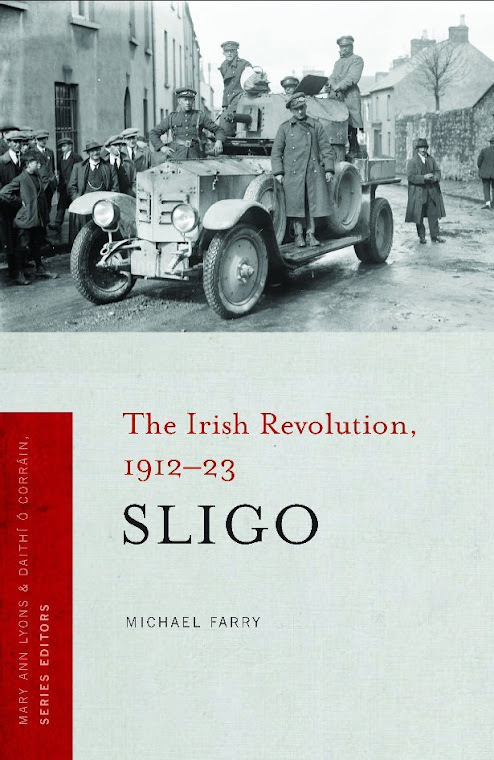 The book is available in paperback, priced at €24.95 from good bookshops or from the publisher's website. The July Over The Edge Writers’ Gathering at Galway City Library, St. Augustine Street on Thursday, 11 July, 6.30-8pm will see the launch of the second issue of Skylight 47, with special guests Eamonn Wall and Patrick Kehoe. All contributors to this issue of Skylight 47 are invited to come along and read their poem from the magazine. All are welcome. There is no cover charge. Copies of the magazine will be on sale on the evening and can also be purchased here. Eamonn Wall, Professor of Irish Studies/Professor of English at the University of Missouri-St. Louis and a Wexford native, will officially launch the new issue and read some of his own poems. Poet Patrick Kehoe will also read from his debut collection, It's Words You Want. 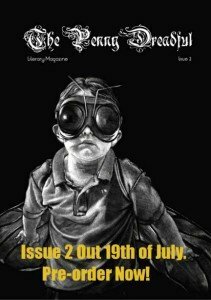 I was lucky to be included in Issue One of this poetry newspaper and I'm delighted that my collection, Asking for Directions, is being reviewed in this issue. Labels: Over The Edge Writers’ Gathering; Skylight 47; Eamonn Wall; Patrick Kehoe; Asking for Directions; Poetry newspaper. 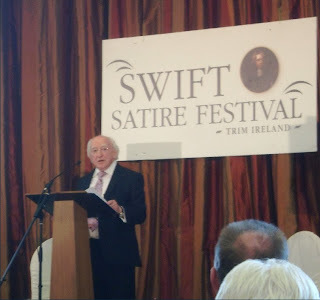 The Swift Satire Festival closed this afternoon with President Michael D Higgins delivering the inaugural Swift Lecture to a large, appreciative audience in Trim Castle Hotel. Before the lecture the President unveiled an information panel beside Trim Castle about the film Braveheart, made in Trim at a time when Michael D Higgins was the minister in charge. He spoke of the importance to the film industry in Ireland of films such as Braveheart and Saving Private Ryan. His lecture was entitled Jonathan Swift, savage indignation, contradictions, vulnerabilities and a lesson for our times. It was a comprehensive, wide ranging discussion of Swift, his times, his writings and the relevancy of his ideas. A fascinating overview for those who knew little about Swift with keen insights for those who were familiar with the writer. One of his main themes was Swift's rage at the realization that rationality was not sufficient. It is this rage in Swift which is sometimes mistakenly labelled as misanthropy. Human nature, Swift said, was not rational but rather was capable of being rational. The President drew a parallel with current affairs suggesting that we had been led to believe that financial structures, institutions and markets were rational but have been disappointed. He also pointed out that one of Swift's best known satires, Drapier's Letters, published anonymously, was against a financial scheme. And so much more! All delivered with great enthusiasm. Makes you want to go back and read Gulliver's Travels again. It is possible that the text or video of the lecture may appear on the website of the President at a later date. Scenes from the Great Gulliver Gathering, the reading of the whole of Gulliver's Travels in just over six minutes at the Swift Satire Festival. 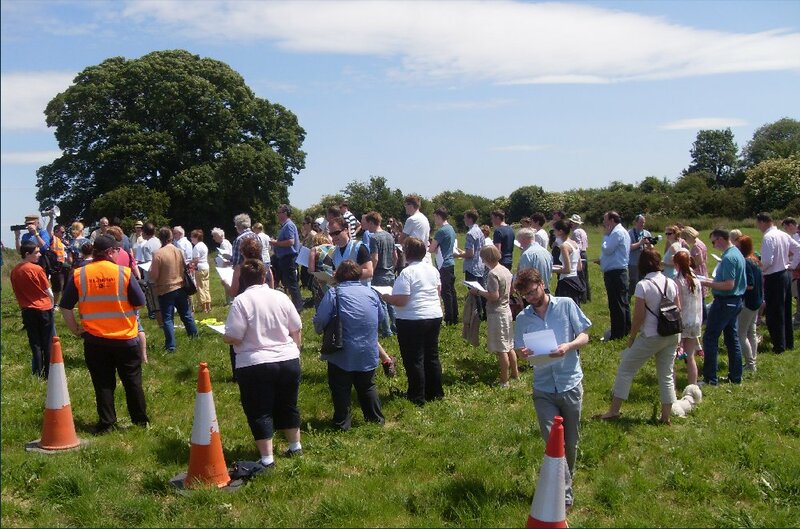 All 302 pages of Jonathan Swift’s Gulliver’s Travels were read by over 100 people in the largest simultaneous reading event ever undertaken in Ireland. Top: The scene beside the castle where registration took place. Sunshine, stalls, bouncing castle, the comedy tent - a glorious setting. Below: Part of the crowd of readers near the Sheepgate just before the reading commenced. The Festival continues when one of the highlights should be the inaugural Swift Lecture to be delivered by the President of Ireland. This takes place in the Great Hall at Trim Castle Hotel at 4pm on Sunday, 7 July. Some pictures from Friday's Poetry in Motion, poetry reading in the main street in Trim before lunch. Some passers-by startled by Yeats, Kavanagh, Auden, Holub, Shakespeare, Heaney, Kipling and work by the visiting group from Bradford. 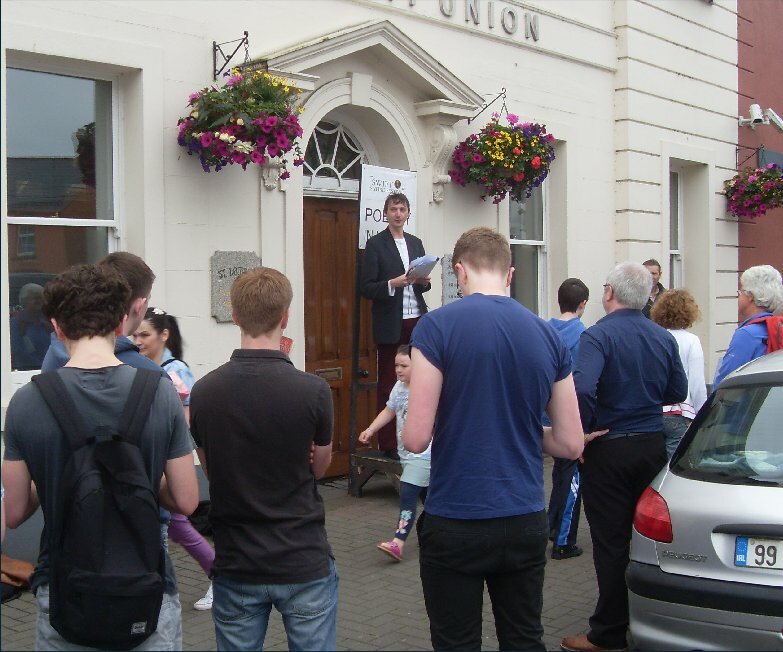 Poetry in Motion is on again tomorrow, Saturday, in the Castle Grounds near the Garda Station at 11. 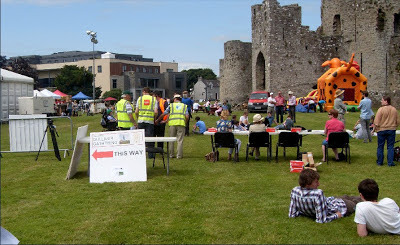 Remember registration for the Great Gulliver Gathering takes place there from 11.30. All 302 pages of Jonathan Swift’s Gulliver’s Travels will be read by 302 people (one page per reader) in the largest simultaneous reading event ever undertaken in Ireland. The reading will start at 1pm sharp. It's free to participate, will take only three or four minutes and you will get a certificate. The Festival was officially opened last evening in the Trim Castle Hotel. A large crowd heard praise for the festival committee and the local community, some thoughts on Swift's regard for Trim and what he might have to say were he to return. Then the first event which was, appropriately enough, a local satire competition. Boyne Writers Group and Meath Writers Circle fought the Battle of the Books and we came out victorious in the end. This victory maintained the 'every second year' pattern of victories. A large crowd attended, the judges were great, joining in the satire themselves and even introducing an X Factor element. Should I be delighted to have been described as "the Susan Boyle of Swift Satire"? Paddy Smith was the MC and his dreadful puns at the expense of the contestants went down very well; OK maybe just went down well. It was nice that the late Tommy Murray was well remembered at the event and that some family members were present. Also nice to see our friends from Bradford there and former Battle of the Books judge and key festival committee member, James Ward. 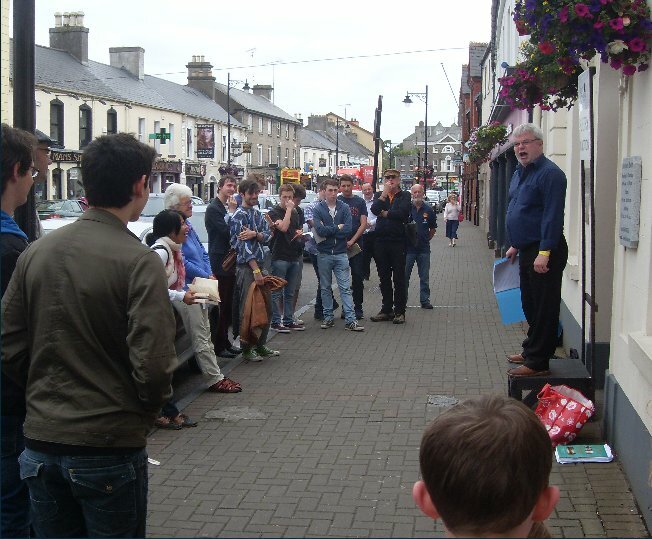 There should be some photos on the Festival Facebook page later, one already on Boyne Writers FB page. Watch also for the blogs of Orla Fay and of Frank Murphy, captain of the Meath Writers Circle team. The Festival continues until Sunday night. Today sees our Poetry in Motion reading of poetry in the streets of Trim and tonight has the Swift Round Table with Barry Murphy, Alan Shortt and Colm O'Regan in the Knightsbrook Hotel. Lots of events on Saturday and Sunday. Full programme on the website. The Swift Satire Festival, Trim starts tomorrow, 4 July, with the official opening and the Battle of the Books. This is the fifth year of this satire competition between the two Trim-based writers groups. The holders are Meath Writers Circle and the pattern so far is a different winner every second year. So the pressure is on Boyne Writers Group this year. The format has been changed. Previously the contest was held as part of the Bite of Satire lunch which featured some other entertainment as well as the contest. This year it is a stand alone event taking place at 9pm this Thursday immediately after the official opening in the Trim Castle Hotel. The teams of three submit their satire scripts in advance to the judges who will be familiar with the material before the event. Contestants take turns to deliver their satire, maximum time allowed five minutes, and receive an immediate judgement and score. In satire, human or individual vices, follies, abuses, or shortcomings are held up to censure by means of ridicule, derision, burlesque, irony, or other methods, ideally with the intent to bring about improvement. Although satire is usually meant to be funny, the purpose of satire is not primarily humour in itself so much as an attack on something of which the author strongly disapproves, using the weapon of wit. It is still difficult to be definitive as regards what is or is not satire so every year the judges query if a particular piece is satire or not. This year of course we will miss the late Tommy Murray who captained the Meath Writers Circle in previous years and who died suddenly at the end of last year. Frank Murphy is their captain this year, a worthy successor to Tommy. Frank has participated in each contest so far and has usually scored highly. So let the battle commence. I should however mention a few excuses in case we are beaten. The weather is against us. Every year we won the sun was splitting the stones. One of our members has come down with a bad cold. Cough! Cough! Our team is entirely composed of amateur satirists unlike the opposition. My own satire for this year? I got this great idea one day while thinning turnips but the finished satire is pretty poor. As usual it pokes gentle fun at a few sacred bulls, is very innocuous, not designed to upset anyone. Complete rubbish! Not!! Swift Satire Festival on Facebook. 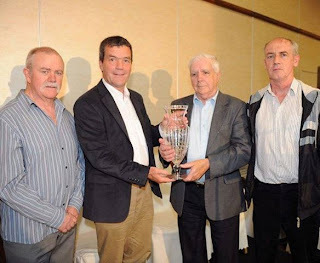 Picture above: Festival patron Noel Dempsey presenting last year's trophy to the winning side, Meath Writers' Circle; from left, Michael Shiels, the now sadly deceased Tommy Murray, and Frank Murphy.